Discord will soon be offering verified channels to publishers and developers, allowing them to open direct, instantaneous lines of communication with their players. These servers will be run by community managers and moderated by teams within each game company. Voice services are most effectively used with the best multiplayer games on PC. The verified option is launching with over 100 game companies involved, and the titles represented already include PUBG and Minecraft. Polygon report that Discord envision verified servers as a means for companies to share updates and solicit feedback. Moderation is not just a suggestion but a requirement for verification. The explicit content filter will have to be enabled, and moderation must be set to ‘medium’ – meaning new users must have had their accounts for at least five minutes – at a minimum. 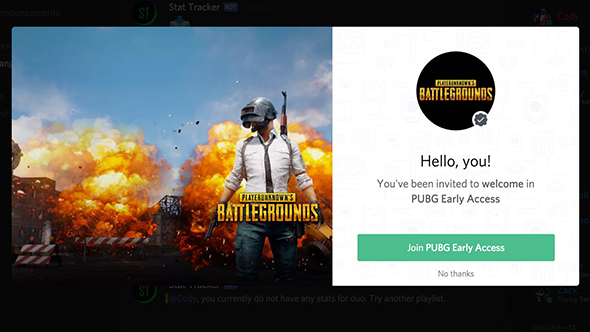 Verification nets Discords VIP voice servers, custom branding on discord.gg links, a welcome splash screen, and – of course – a fancy checkmark. This will only available to publishers and developers, and other community Discords will have to make due without the bonuses. Sorry, you’ll have to make due without the check. It seems that these servers are largely intended to serve similar functions to Steam blogs and official Twitter accounts, but will allow companies to self-moderate their discussions without being subject to the hands-off approach of those hosts. Meaningful feedback often gets lost amid seas of harassment on social media, and given Discord’s willingness to take a stand on such issues it seems likely this is at least partly a response to those problems.